When collecting information for us, First Data/FundsXpress does not link IP addresses to anything personally identifiable, which means that a user's session will be logged, but the user remains anonymous. FirstData/FundsXpress may use IP addresses to audit the use of our site. They can and will use IP addresses to identify a user when necessary for security purposes. A cookie is a very small text file sent by a web server and stored on your hard drive, your computer's memory, or in your browser so that it can be read back later. Cookies cannot "read" information about you from your computer or be used to "steal" information about you; and cookies don't carry viruses. Cookies are a basic way for a server to identify you (most cookies actually identify the computer you happen to be using at the time, not you personally). Cookies are used for many things from personalizing start up pages to facilitating online purchases. Cookies help sites recognize return visitors and they perform a very important function when you engage in secure Internet banking. FirstData/FundsXpress utilizes other cookies simply to facilitate the customization and personalization of the Portal. For your security, FirstData/FundsXpress does not store any of your personal information in these cookies, which are further described below. When visitors register on the Portal and select the "Remember Me" checkbox, FirstData/FundsXpress sends additional cookies to your hard drive, which enable you to customize the Portal and bypass the login process each time you revisit the Portal. These cookies are retained on your computer until you either delete them or click on the Logout link within the Portal. These cookies only contain a unique user identification number and do not contain or collect any personally identifiable information. When registered users login to the Portal, FirstData/FundsXpress sends an additional cookie called a "per-session" cookie or "server-side" cookie. This "server-side" cookie resides in the browser and is only used by FirstData/FundsXpress to monitor the session by a unique identification number. This cookie is used for security purposes and you must allow your browser to accept the "server-side" cookie to use the Portal. The cookie is destroyed after eight hours. When you click on advertisements on the Portal or at 3rd party merchants within the Portal, they may also send you a cookie to collect general non-personally identifiable information. You do not have to accept these cookies to use the Portal. We do not disclose any nonpublic personal information about our registered portal customers or visitors to anyone, except as permitted or required by law. We must share this information with FirstData/FundsXpress, our service provider for the Portal. FirstData/FundsXpress has a confidentiality agreement with us to protect your personal information to the same extent that we must do. In the future, we may share a portion of the aggregate customer information that we collect on the Portal with companies or financial institutions that perform marketing services on our behalf. We have such an agreement with FirstData/FundsXpress. Our contract requires FundsXpress to protect the confidentiality of your personal information to the same extent that we must do. The disclosure of certain aggregate information to FirstData/FundsXpress or other companies would only be used to help us market and/or display financial products and services that may be of particular interest to you or save you money. We will provide you an opportunity to opt-in or opt-out of such disclosure if required by law. This financial institution has developed strict policies and procedures to safeguard your personal information. 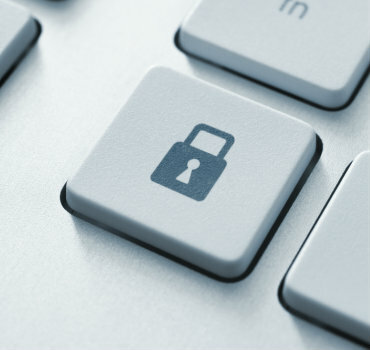 We restrict employee access to your sensitive personal information to a "need to know" basis. We maintain physical, electronic, and procedural safeguards that comply with federal regulations to guard your nonpublic personal information. We educate our employees about the importance of confidentiality and customer privacy. We take appropriate disciplinary measures to enforce employee privacy responsibilities. We offer secure messaging services through our Internet Banking service. You should use the secure mail service anytime you send us sensitive personal information. Our service provider, FirstData/FundsXpress, has also developed security policies and procedures to protect the customer information that they must collect and maintain to help us provide Portal services to you over the Internet. They have developed a top-of-the line data center and security procedures to ensure that your customer information is protected within the FirstData/FundsXpress environment. For more information on the FirstData/FundsXpress security measures, please visit their website at www.firstdata.com. Portal visitors are not required to register in order to utilize certain features of the service such as the shopping mall and news. The registration process simply allows the user to customize features that allow them to track certain stocks, read selected news articles, view the local weather report and personal horoscope. The registration process only requires you to provide your name, email address, and passcode. Other information such as your zip code is optional and only used to customize Portana features. Your email address is your User-ID. We currently only use this address to send you a welcome letter. In the future we may use this address to send you email notices for certain required regulatory disclosures, but only if you have previously accepted online disclosures. We may also send you emails to market our financial products and services that may be of interest to you. In addition, we may also provide you an opportunity to subscribe to a newsletter; however, we will always provide you an opportunity to opt-out of electronic disclosures and newsletters if required by law. FundsXpress may send emails as an agent on our behalf. FirstData/FundsXpress, our Portal service provider, also collects general non-personally identifiable information that is generated electronically when you visit our Portal site. This information is collected on our behalf simply for administrative, statistical, and security purposes so that we may provide Portal services to you. FirstData/FundsXpress uses a "web-trend cookie" to collect some of this general information on all Portal visitors. The pages visited in our Portal.